In need of a new hatchback? The new Peugeot 108 hatchback could be the right choice but how does it do against SEAT & Citroen? The new Peugeot 108 Hatchback is a budget-friendly city car that will bring a smile on drivers’ faces. It’s easy to drive, stylish and makes that morning commute to work that bit easier. It’s also cheap to run, but the best thing? Its higher-trim models come with a full-length folding roof if you want it. Granted, it’s not got a great deal of rear space, but the five-door version makes access easier. And if you’re looking for a car to potter about in the town with, the 108 has a lot of appeal. OSV takes a closer look at what it’s all about with our 2017 Peugeot 108 Hatchback review. The 108 is ideal in and about the town, but shows its deficiencies once you take it out onto the motorway. That said, it feels a lot more composed than the outgoing 107 model that it replaces. Ride quality has been improved, and the steering is much lighter. If it’s an out-and-out city car you want, you can’t go far wrong here. In terms of the engines, the 1.0-litre petrol engine is OSV’s top pick if you’ll be spending most of your time in and around the city. It’s agile, sprightly, and simple enough to drive. If, however, you’ll be spending a fair amount of time, you’ll be best advised looking at the more powerful if less economical 1.2-litre engine. At higher speeds, it feels a lot faster. Where the 1.0-litre unit does 50-70mph in almost 30.0 seconds, the 1.2-litre unit does it in 15.9 seconds. Meanwhile, it can complete the 0-62 dash in just 11.0 seconds, while the 1.0-litre engine covers the same distance in 14.3 seconds. The more powerful of the two, then, is capable of giving most rivals a run for their money. However, it’s only available with the more expensive Allure, GT-Line and Roland Garros trims. It’s also manual only, whereas the 1.0-litre engine can be paired up with an automatic transmission. The 108 is a much-improved version of the 107, both inside and out. It’s comfier than last time, but it does fall short of rivals. Over nasty lumps and bumps, the 107 meant that you certainly felt it. Worse still, sound insulation was so poor that you could actually hear the suspension. These issues have been cleared up for the Peugeot 108, and it does a good job soaking up poorer surfaces. Exterior noise is well-suppressed, and that goes for tyre and wind noises as much as it does engine noise. There isn’t a great deal to say about the dashboard because there isn’t much to it. Peugeot has gone for a super simple, minimal aesthetic look and it all looks clean. A 7” touchscreen is easy to get the hang of, but the entry-level model has to make do without it. You can pick from a three-door and a five-door model – provided you avoid the entry-level model, which is strictly a three-door model. Both versions of compact interiors, which makes it a struggle to fit four people into the car. On the other hand, its compact dimensions mean that it’s easy to drive and park. Space up front is decent, and you get a height adjustable driver’s seat – again, only if you avoid the entry-level model. Rear-seat room is more limited, but passengers should be just fine on shorter trips. The boot measures 196-litres and comes with a low load lip. The rear seats can be folded for more space, but once again in all but the entry-level model. Standard kit is good across the range. Although the entry-level model does without the 7” touchscreen, it does get LED daytime running lights, front electric windows, and a number of safety gizmos. The Access trim gets the 7” touchscreen, as well as bigger wheels, a DAB radio, air conditioning, Bluetooth and different exterior colours. The Allure model is our top pick, and comes with keyless go, automatic headlights, alloys and a reversing camera. The Roland Garros model tops the range with different styling tweaks and automatic climate control. In terms of safety, the 108 Hatchback was awarded 4/5 when it was crash-tested by Euro NCAP. Peugeot will be disappointed with that because rivals are elsewhere scoring 5/5. On the plus side, it benefits from a good amount of standard kit, including a pair of ISOFIX child-seat mounts, electronic stability control, hill-start assist and anti-lock brakes. Prices for the new car start out from £8,995 and rise to £14,105. If you prefer to lease, you can pick up a deal from £115 + VAT per month. For more information on our leasing deals, check out our page here. In terms of its running costs, it doesn’t matter how much the Peugeot 108 Hatchback emits, all models are pegged at £140 when it comes to yearly road tax. The good news is that all other costs are low. The most frugal engine in the range is the 1.0-litre petrol, which returns almost 69mpg. The 1.2-litre engine, meanwhile, is good for 65.7mpg. Both emit less than 100g/km of CO2. Insurance should be cheap, with the entry-level model occupying group 6 and the most powerful model sitting in group 12. Not only is the car well-equipped, but there is also plenty of scope for personalisation here. Changes to the road tax rules means you’ll need to pay £140 a year, despite the 108 Hatchback emitting less than 100g/km. That said, all models return over 64mpg, and insurance is affordable. It’s an easy, comfy way to get about town. Just two engines are available, and one is achingly slow. It will prove impossible to take people out on longer journeys – not unless you want them bending your ear hole! Let’s see how the car fares against its rivals in the comparison section of our 2017 Peugeot 108 Hatchback review. 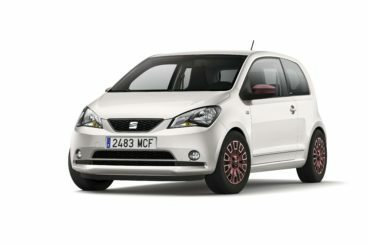 The new SEAT Mii Hatchback is a compact but impressively roomy city car that shares underpinnings with the popular Skoda Citigo and VW Go! As ever with a SEAT, the Mii is fun to drive. It might not be exactly powerful, with its 1.0-litre three pot petrol engine developing just 74bhp, but it’s lively and entertaining. Its handling abilities are helped by good steering, its lightweight nature, as well as a slick gearbox. Moreover, its suspension does a good job of absorbing lumps and bumps. Overall, it’s a pleasant experience. And if you’re operating on a massive budget, there is a cheaper, less powerful 59bhp petrol engine available. It’s not quite as sprightly as the bigger 74bhp, but when it comes to everyday driving in the city, there isn’t a huge amount of difference between the two. There might not be any diesel engines available, but running costs are still low. Both the 59bhp and 74bhp 1.0-litre petrol engines return 64.2mpg. That’s decent, but rivals are more frugal. It’s also worth pointing out that for the 2017 SEAT Mii Hatchback, the brand has ditched their 69mpg EcoMotive engine that was capable of returning almost 70mpg. Both presently available models, meanwhile, cost £20 a year to tax. 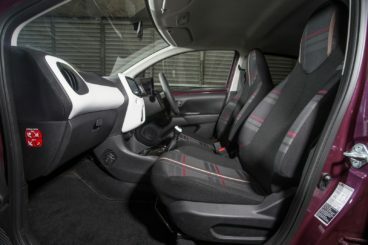 The SEAT Mii’s cabin is a major strength. It’s as comfy and roomy as cars from the class above, and materials are good. Indeed, the plastics used for the dashboard are easily good enough to be used in more expensive hatchback’s. Insulation isn’t the best, however, with engine noise making its way into the cabin. The dashboard is thoughtfully arranged, and has a simple, straightforward design. It’s easy to find where everything is, with the dials and controls all laid out boldly and clearly. And although the steering wheel isn’t leather, the quality of the plastic is decent. Thanks to a good design job by SEAT, the Mii Hatchback is reasonably practical. You can choose from three or five-door models, with the latter offering a bit more usability. The cabin in both is spacious, but accessing the rear seats is easier for your passengers if you go for the five-door model. Four adults have a good amount of space, but legroom can get a bit tight on longer journeys. The boot, meanwhile, measures an outstanding 251-litres. That would be impressive for cars from the class above, and it’s almost 60-litres more than the Peugeot. Fold the rear seats, and you can increase luggage capacity to as much as 959-litres in the five-door version. 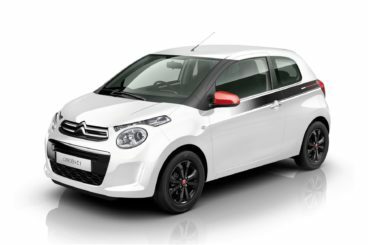 With its red roof and front mirrors, the Citroen C1 Hatchback is a stylish and fun city car that lets you personalise it to stand out even more from the crowd. Citroen has decided to use the same underpinnings as last time, and this counts against the C1. It means that its suspension setup is still soft, which continues to result in excess body roll in bends. Light steering is its saving grace, but it’s not as much fun overall as rivals. Like the Peugeot and the SEAT, there are no diesels available. The entry-level 1.0-litre petrol engine has been carried over from last time, and it takes 13.0 seconds to complete the 0-62 dash. It’s a fairly noisy old engine that requires you to work it hard. And while this isn’t much of an issue in the town, it becomes a nuisance on the motorway. The 1.2-litre engine might cost more money, but we think it’s a much better option. It has more power, doesn’t make as much noise, and is a lot more competent on the motorway. It might only add a further 13bhp, but in such a small, sleight car that’s a lot. 0-62 is dispensed within 10.9 seconds. Both variants are affordable to run, and both emit less than 99g/km of CO2. There will be road tax to pay, though, thanks to the new rules, with both models costing £140 per year. The 1.0-litre engine can return 68.9mpg economy, but even the more powerful 1.2-litre 81bhp petrol engine averages 65.7mpg. That might be worse than a lot of rivals, but it’s still a decent figure, especially when you consider the extra oomph the car offers. Inside, the Citroen C1 Hatchback isn’t as well-built as some rivals. Worse still, it’s overall quality is lacking. There are cheap plastics here and there, and the entry-level model misses out on a height-adjustable driver’s seat. Comfort is hit and miss. The soft suspension does a good job of absorbing rougher road surfaces, but motorway refinement is poor. There are quieter interiors in this class. The dashboard is colourful and will appeal to younger buyers. You can choose from an assortment of trims and colours to get the look and feel you want, and the buttons and dials are clearly laid out. In terms of how practical it is, those upfront will be just fine with the space on offer. Those in the back, however, will have a tougher time of it, especially on longer journeys. The seats are cramped, and even if you opt for the five-door version, the doors just don’t open wide enough to make access super easy. The boot measures 196-litres, putting it on par with the Peugeot. The opening is nice and wide, but there is a large lip and no false floor. 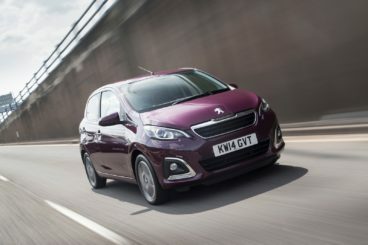 Stylish, compact and comfy sum up the new city car from Peugeot. It’s not easy to get noticed in this competitive sector, but the 108 does its thing with a smile on its face. It’s ideal for younger buyers who need a car for work, want the freedom to personalise, and are on a budget. The pint-sized new Peugeot 108 Hatchback is a solid, dependable and even fun choice.